Good morning everyone! I am so happy that you are excited about the new PK Collection bags! 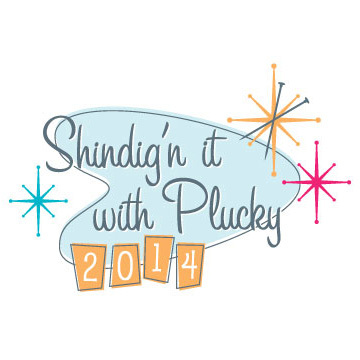 Both the clutch and the tote will be available for purchase in the Plucky Shindig Marketplace. The clutch is priced at $145 and the tote is $135. We will have equal numbers set aside for Friday and for Saturday mornings, so no worries if you will be arriving late on Friday. Then any unsold totes and clutches will be offered upon our return to the studio following the Shindig on the Plucky Blog. 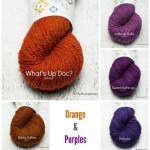 I love knitting, boots, bags and the perfect lipstick and tee shirt. 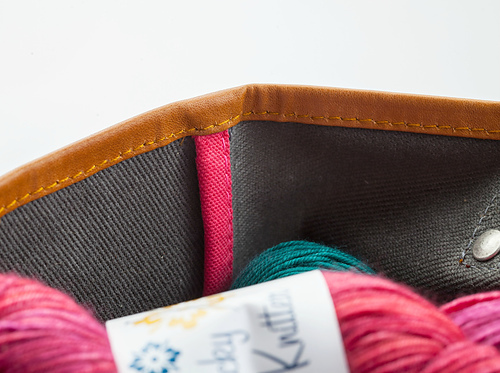 Somehow, out of all those things, I chose to try to create a line of bags that go beyond the simple canvas tote or clutch, where most of my knitting, notions, lip stick and computer live. I wanted a clutch that would be happy to ride along inside my purse or to stand by itself for an evening on the town. I wanted a tote that was sturdy but still had a touch of elegance for a day of shopping in the city. I am so excited to bring to you the PK Collection! First the clutch. Why a clutch? 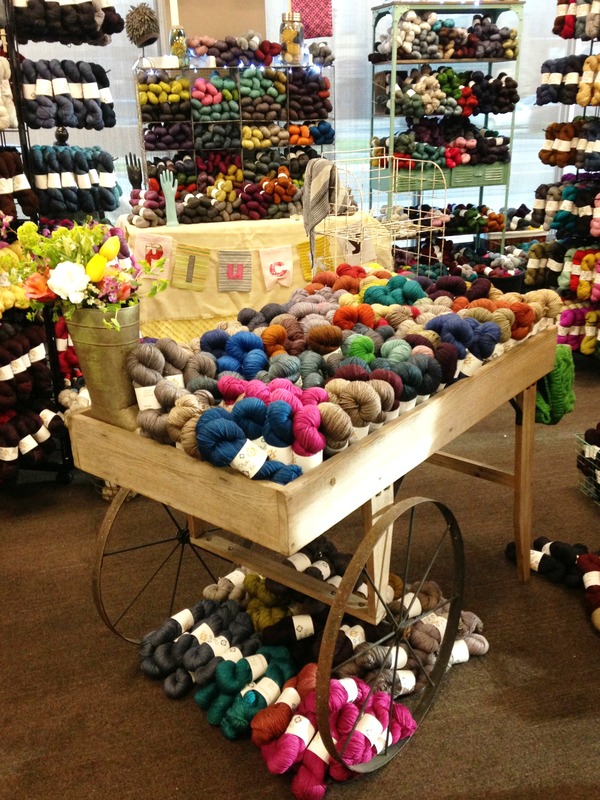 Knitters carry a bunch of stuff with them all the time (most women do!) but you don’t always want to carry everything, everywhere. Enter the clutch. Keep your keys, notions, wallet, etc. in the clutch and then toss that in your bag. That’s all you need to carry! You want to go have drinks with your friends or a quick run into the grocery store – just grab your clutch! At least that’s how I use mine. 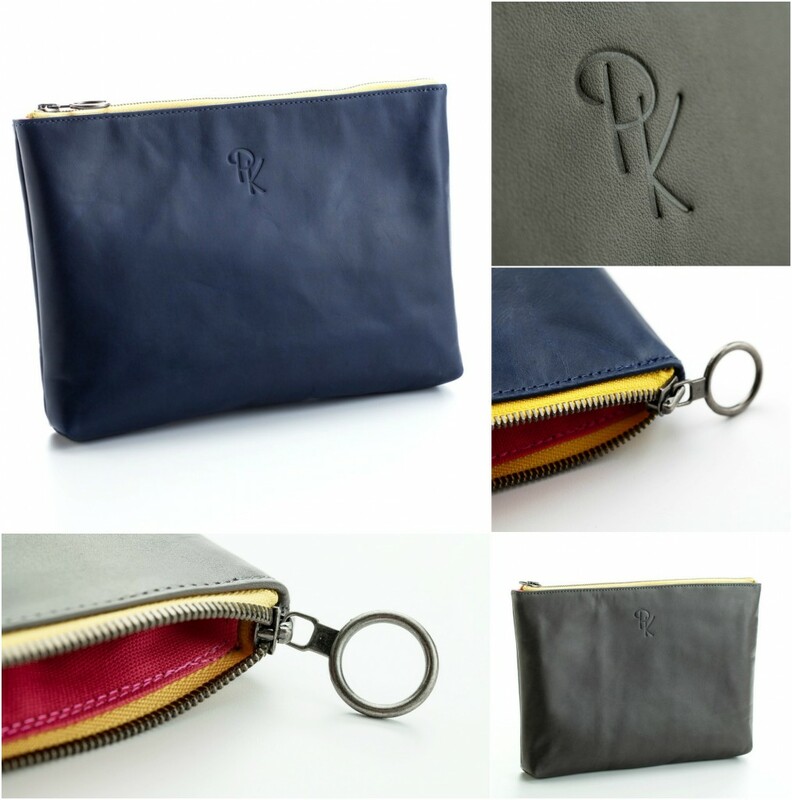 Each PK clutch has been crafted from top of the line Italian leather (they tried to talk me out of it but I wouldn’t be swayed), and is available in your choice of either classic navy or a gunmetal grey. We searched and tested until we found leather that would look beautiful on the first day and would be just as beautiful after years of use and abuse (I can personally attest to this as I have been using mine for the past two months – it even survived a trip on the top of my car going 65mph). 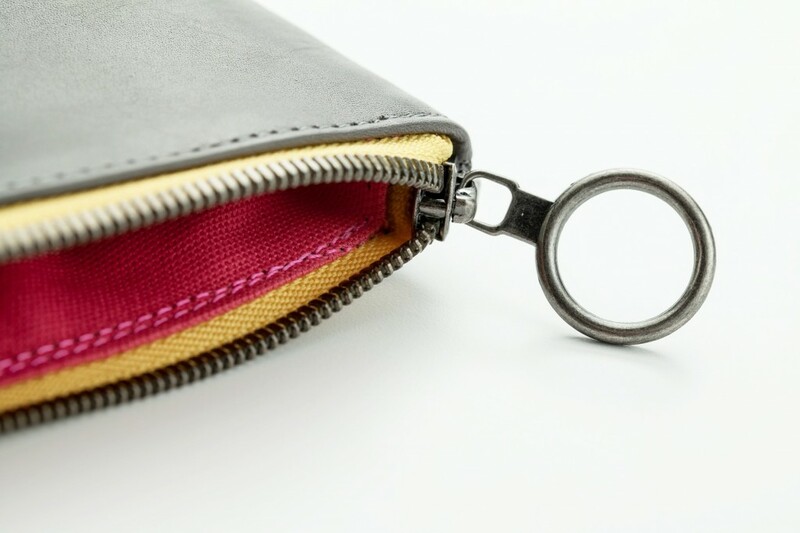 Then, we added a antique nickel zipper and ring that is not only a great design element, but also very durable. No chintzy zipper here! Then we kicked it up one more notch with a very Plucky yellow zipper tape (think Pollen) and a fun Miss Manners-esque pink lining. 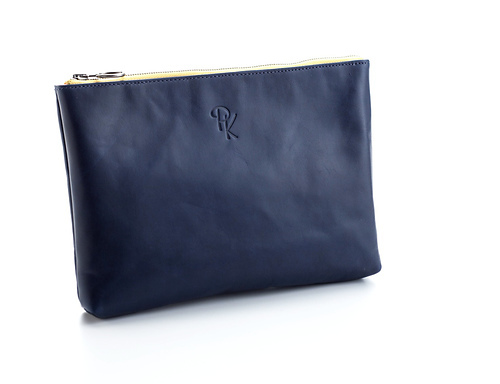 The clutch is eleven inches wide, eight inches deep and fits perfectly under your arm or inside another bag. Mine holds my iPad mini, phone, wallet, keys and lipstick perfectly. The Second bag is our limited edition PK Collection Tote. 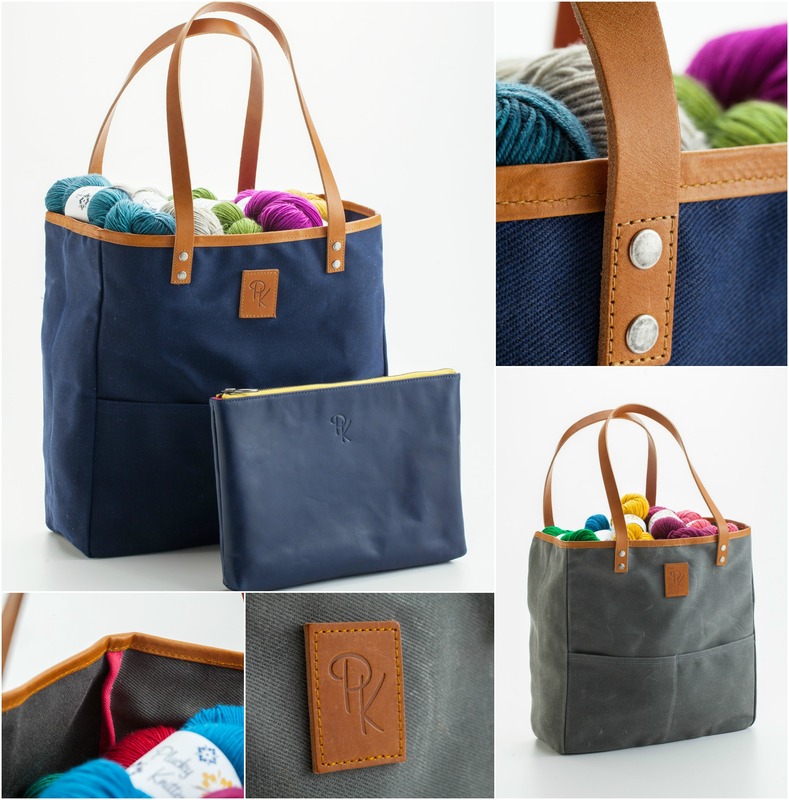 We found a wonderful oiled cloth canvas that translated perfectly into a tote with a ton of style and function. 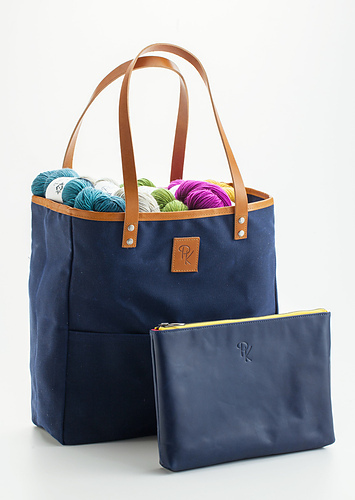 This tote is perfect as a project bag, but begs to go practically everywhere with you as a market bag, gym tote or even a diaper bag. The flat bottom allows it to sit at your feet without tipping over, whether you are at home knitting or enjoying an afternoon of shopping. The tote is very light weight, but the high quality canvas and leather straps makes it strong enough to carry a laptop, notebooks and your clutch if you are on your way to the office, a meeting or dinner with the girls. The more you use it, the more vintage and well loved it looks. Again, the tote is available in the classic navy or gunmetal gray and is 13” wide, 5” deep and 13.5” tall, with straps that are just the right length for hiking your tote up over your shoulder. 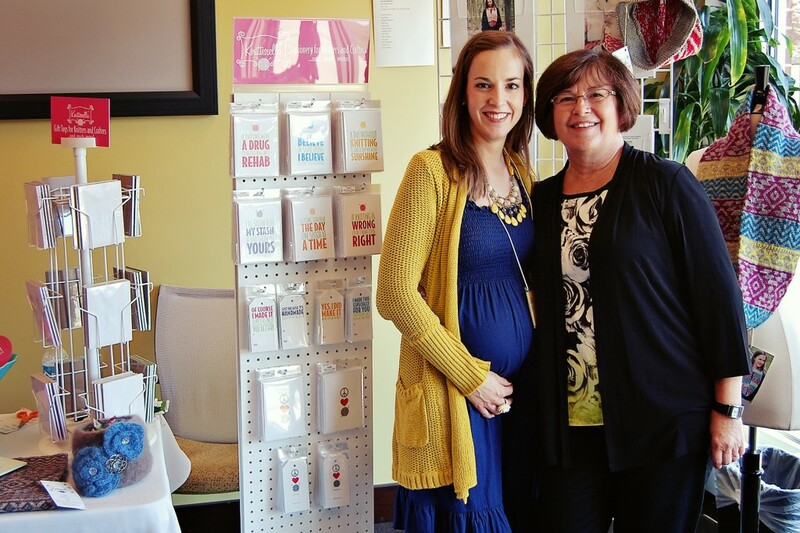 We are very pleased to be working with a small, family run business here in the US. Their commitment to quality and ethical practices make them the perfect partner in the PK Collection. 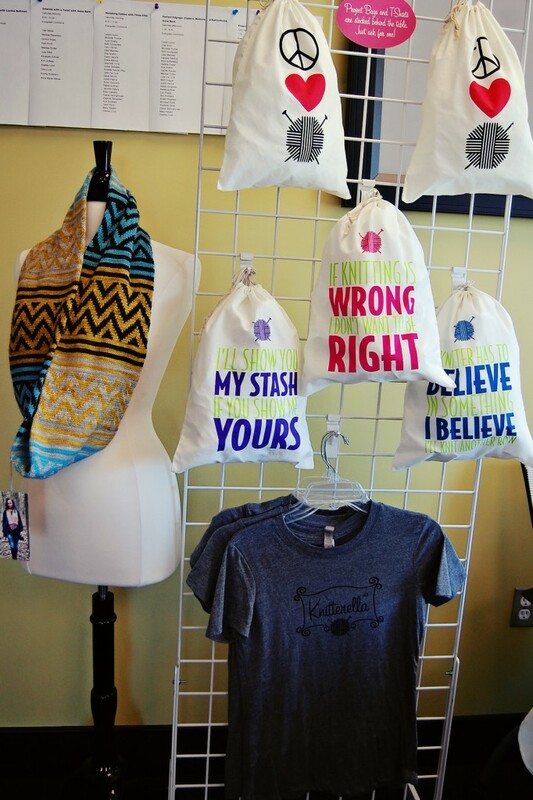 The PK Clutch and the PK Tote will be unveiled at the Shindig marketplace and available online while supplies last. Please note – because these are handmade, just for Plucky, this is a very limited edition run. Once they are gone, they are gone. Thank you so much for your enthusiasm and interest. I hope you enjoy the bags as much as we do! Hanna has designed a beautiful V-neck sweater, filled with magical twists and turns, all designed to bring your eye up to the very flattering neckline. This sweater is worked almost seamlessly from the bottom up, featuring set-in sleeves with short row sleeve caps and a series of double decreases for neckline and armholes. 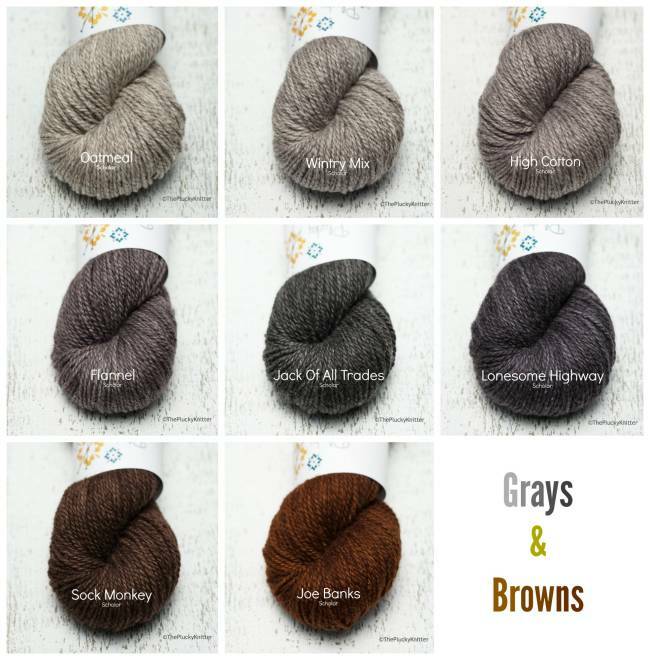 Cabeladabra is a fast knit with impressive details and is stunning worked in either Primo Aran or Scholar. 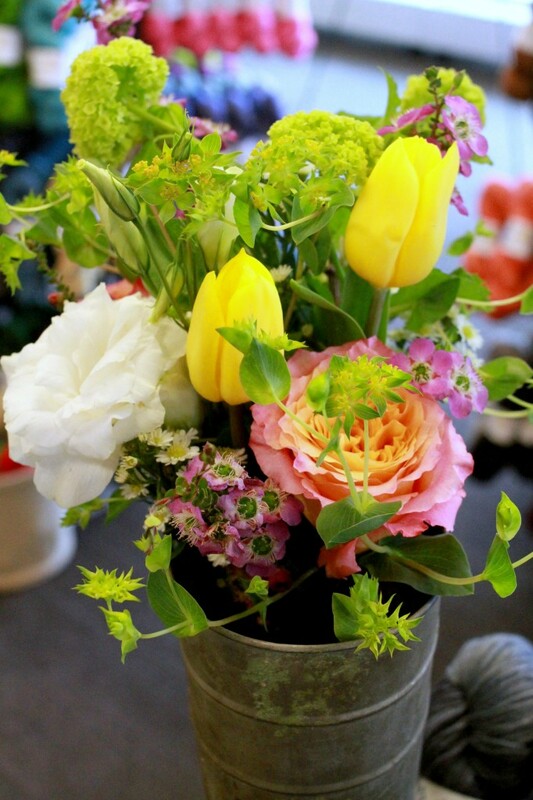 Please join us at 8:00 a.m. AND 3:00 p.m. Eastern on Friday, May 2nd – right here on the blog. 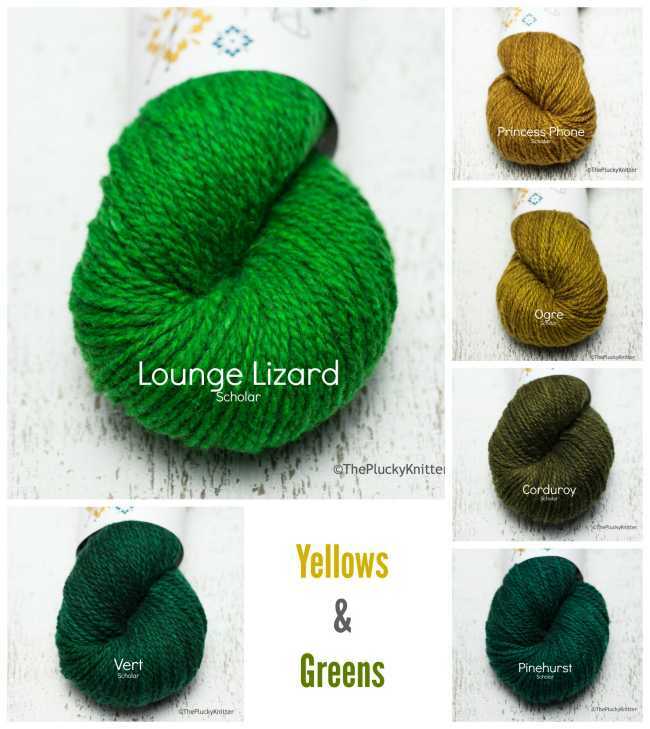 Again, Cabeladabra is available in both Primo Aran and Plucky Scholar in 32 lovely colorways. Something for everyone! Pattern will be included with every kit purchase and is not able to be purchased separately or removed from a kit purchase price. 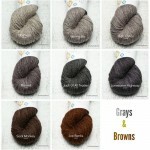 Yardage info shown above is for the actual yardage of yarn you will receive based on the number of skeins in the kit. 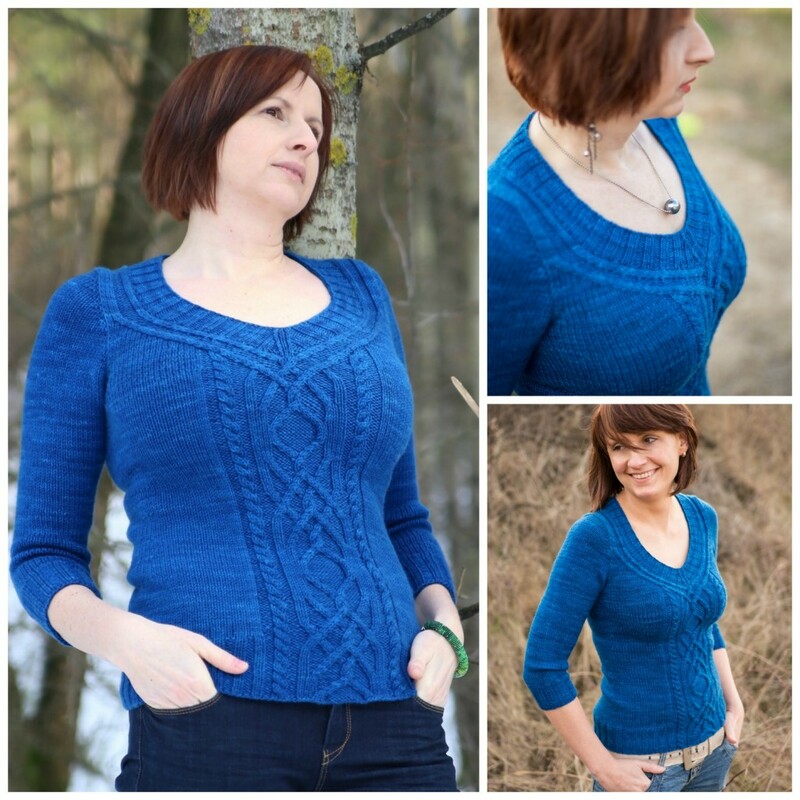 The suggested yardage to knit the pattern per specifications can be viewed at Hanna’s pattern page on Ravelry. 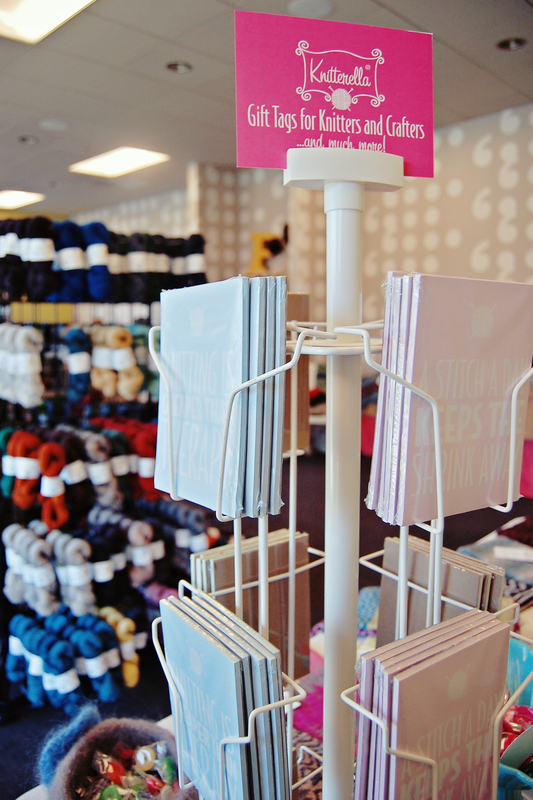 Please choose the appropriate kit size depending upon the fit, sleeve-length, or body length you intend to knit. Pattern is written for the sweater to be worn with negative ease. 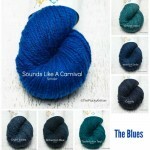 If you wish to knit the pattern with no ease or positive ease, please consider ordering a larger size. 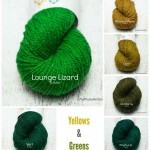 All prices shown in USD, include yarn, the exclusive Cabeladabra sweater pattern and flat rate shipping of $6.95 per kit. 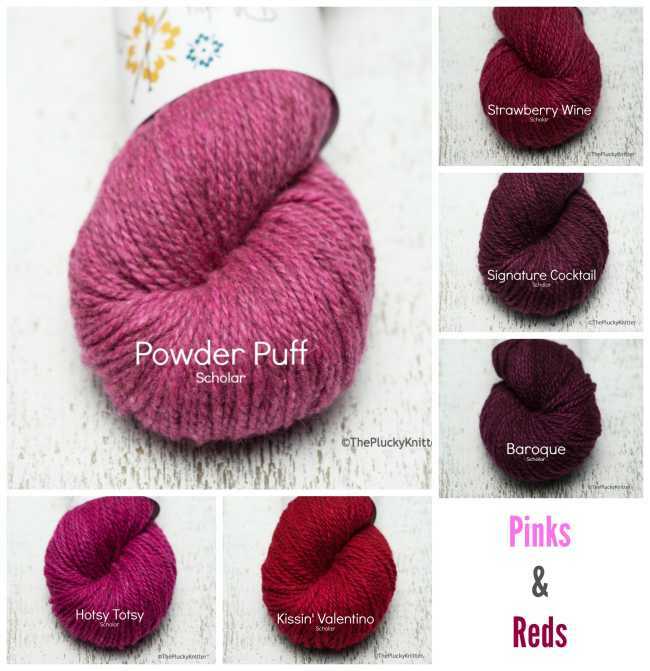 The pattern PDF will be emailed to kit purchasers within 24-48 hours after the update has completed to the email associated with the PayPal account used to complete your purchase. The pattern will not be available as an immediate Ravelry download nor will hard copies of the pattern be sent with the yarn. Yarn for the kits will ship the week of JUNE 4th, 2014. As with all kits and clubs, multiple orders will be combined for shipping! We hope you enjoy knitting and wearing Cabeladabra. 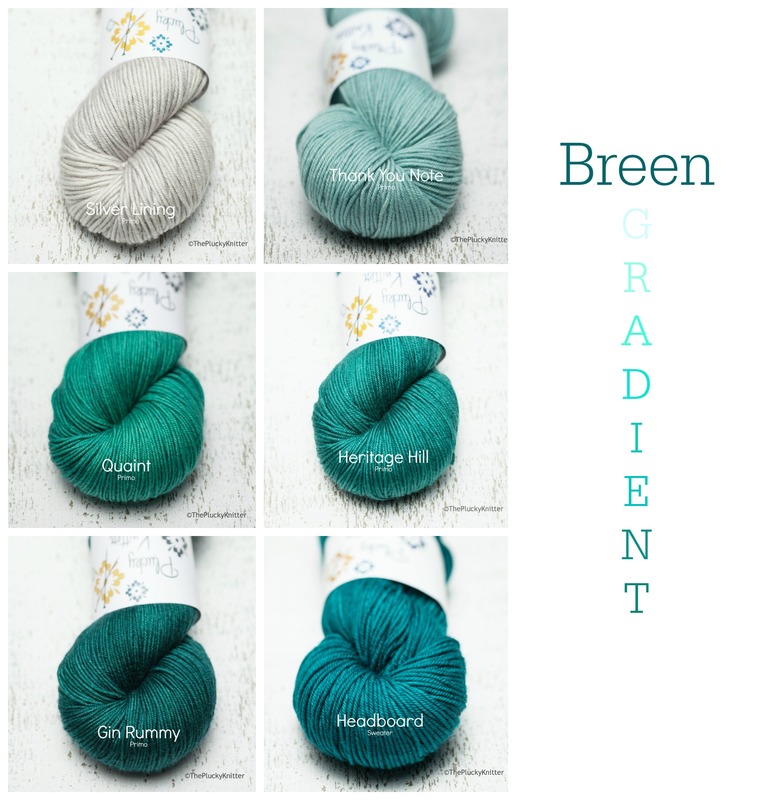 We are looking forward to seeing which base and colorways you choose!